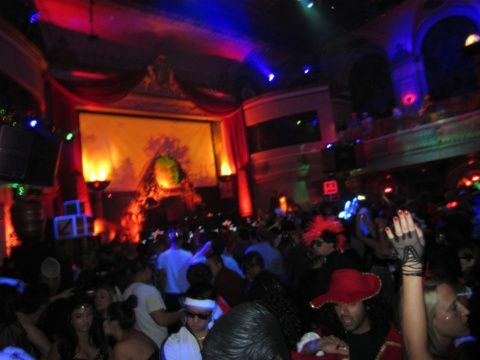 We danced the night away to Tiesto at Ruby Skye for the actual Halloween day. I swear, I can't believe I was able to muster up the energy for a big weekend, but then again this is also my favorite holiday of the year. This party was soooo much fun, I seriously felt like I could've been in Vegas-- and that says a lot considering I think the nightlife in SF isn't happening. 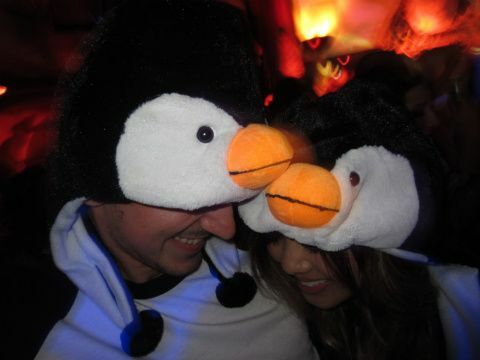 Anyway, this was also the first year I didn't celebrate with my girlfriends, though I must admit matching with a dude is a lot more fun-- especially since we were penguins (Alex is obsessed with penguins). 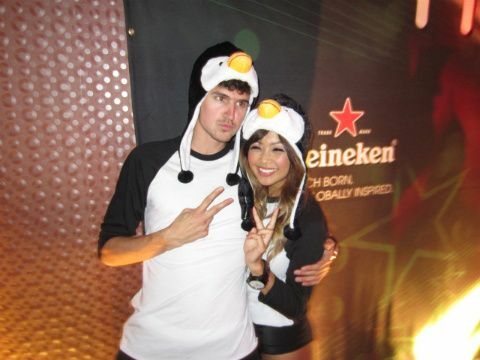 We used baseball shirts and made the back portion all black so it looked more legit. Used yellow socks and turned them into legwarmers, created penguin feet with foam paper and again the fun hats I found from LF. Surprised how much material I was able to use from only two stores for all the outfits!